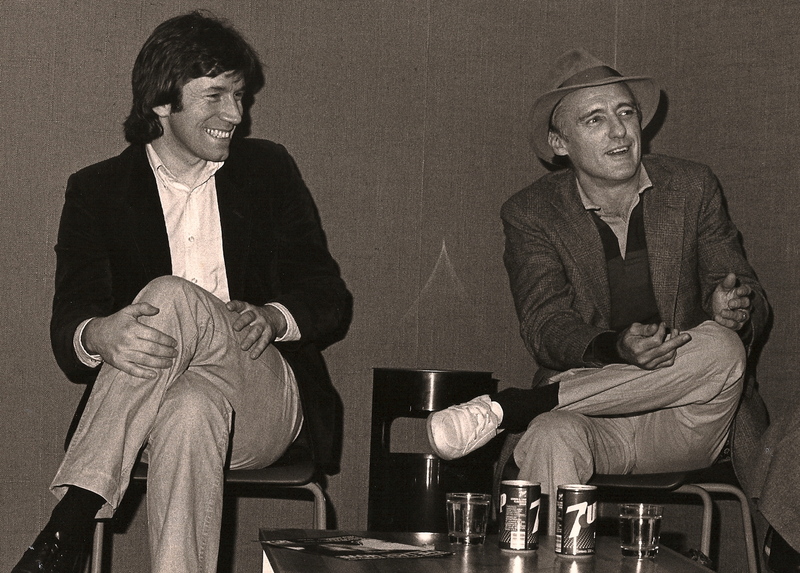 Jim Hickey (left) entertains a tee-total guest (note the cans of 7-Up) at Filmhouse in the ’80s. Jim Hickey is a hero to me. As director of both Edinburgh Filmhouse and Edinburgh International Film Festival, he presided over both institutions at the time I was discovering world cinema. Apart from BBC2 and then Channel 4, there was really no other way for me to see films from outside of the US and UK mainstream. As you’ll read below, the EIFF took pride in mixing up all kinds of movies, almost as if it were unnecessary to make distinctions between lowbrow and highbrow, narrative and experimental, documentary and fiction. As if in some way it was all cinema. I think that had a deep effect on me, and I sometimes wish it had eradicated my tendency to put things in boxes altogether. But it certainly helped. Jim was also very kind to me when I worked in the Cinema Shop in Filmhouse, and on one memorable occasion ushered me and my friend Robert into the presence of Martin Scorsese, who was visiting with THE COLOR OF MONEY (as I recall, Robbie Coltraine was also in the room, somehow). This tongue-tied teen couldn’t manage any coherent response at the time, but — THANKS, JIM! Since stepping down from his positions at Filmhouse and the Fest, Jim has thrown himself into filmmaking, producing acclaimed short THE HUNGER ARTIST and co-producing FROZEN with Shirley Henderson and Roshan Seth. Previous installments can be found here and here. 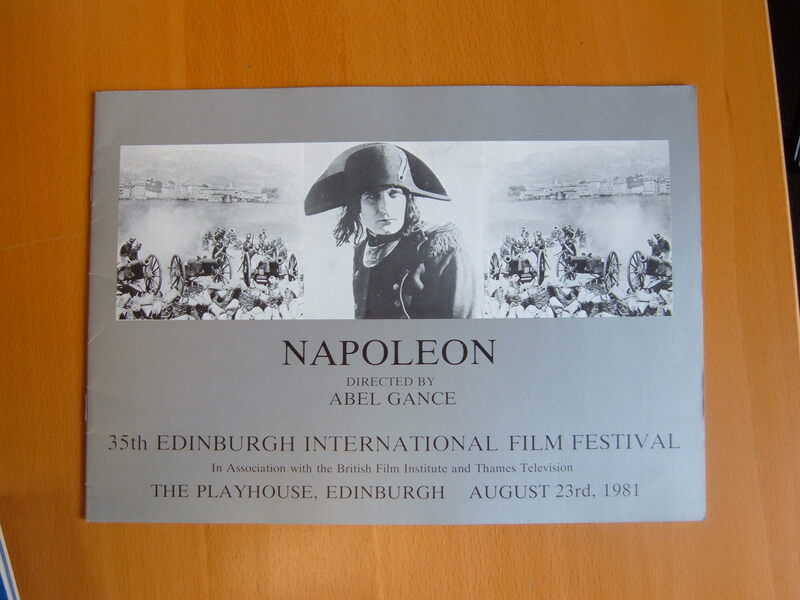 The souvenir booklet from the Fest’s screening of Gance’s restored NAPOLEON. DC: The first one, that I’m asking everybody, because even though it’s a banal question it will yield nice results, is: Your fondest memories of running the EIFF? JH: The happiest moments are often to do with films that have gone on from Edinburgh to do really well later, or films that are now looked at as classic films of that period, or great films. 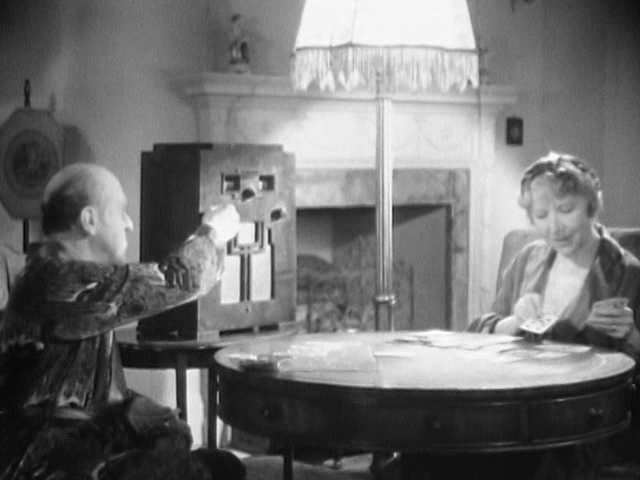 And sometimes they’re just buried in the programme, they’re not huge films that are trumpeted like gala films. I suppose I ought to go back to when I came in, it was a kind of austerity year as well: it was cut back to about nine days, nine or ten. And people were a bit shocked, “Oh, it’s got to be a two-week festival!” It used to be a three week festival. When I started in the box office in ’69 it was three weeks. And the final week was often a whole lot of films from somewhere like The Other Cinema, or Andi Engel’s Polit Kino, a lot of interesting political or third world films that weren’t in the main programme but were showcasing what we had. And then gradually the three weeks stretched and included everything, and those films weren’t in a single package. So, when I came in it was almost the worst time to be doing a film festival. 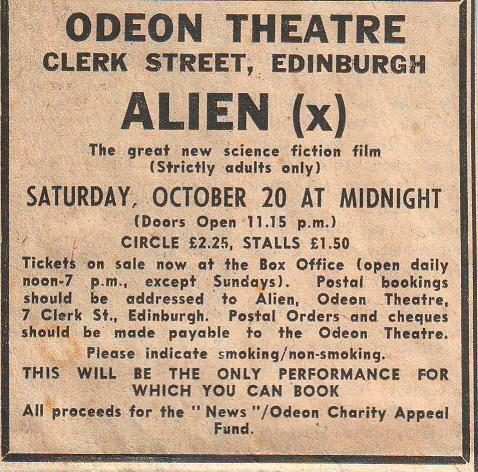 Cinema attendances in the late seventies were at their lowest. And so no one was going to cinema much, and video was coming in, and so in ’81 when I started it was a job of trying to get people into cinemas. You decide that “We want you to come here and see films in the best way possible, and with as big an audience as possible, rather than sit at home renting them on video or whatever.” And so the idea of big films – or big screenings – is one of the things I wanted to do. As you mentioned before, the NAPOLEON thing was one of those, to actually do something that caught a lot of attention, and also make people amazed with what kind of experience they could have, not with a brand new film, but with something they’d perhaps never heard of, or never heard of a film in that form. And we weren’t the first to do that, and we were lucky it had already been done, it had started off in London, and Edinburgh was lucky to be able to do it. It took up a lot of time and effort, and we lost a couple of thousand pounds on it, I think. It cost about £28,000 to do that with a full orchestra. But that was an example of it, and we followed that up a few years later with GREED, done similarly. I thought that those Playhouse screenings – again, we were lucky to have the Playhouse, which had the equipment and was able to show films, still, although it was moving away from it completely – and so all the big films we did, like ET, BLADE RUNNER, BACK TO THE FUTURE, PARSIFAL, ANGEL HEART, all of those were to grab as many people’s attention as possible. But also to try and be a bit courageous, and put on something that most people thought might not reach a big audience. Like MERRY CHRISTMAS, MR LAWRENCE or BETTY BLUE: starting the festival with a foreign language film was really weird in those days. There are lots of other things I’m really proud to have shown. 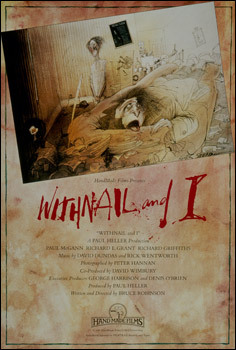 Things like WITHNAIL AND I. At the time I saw it in London, the distributors didn’t know quite what to do with it. And I thought, “Well it’s kind of quirky and it would suit Edinburgh. Maybe it would go down well there. Let’s see what happens.” And it was an absolutely fantastic response in Edinburgh. DC: I saw it there and then waited, waited for it to actually come out, and it barely did, but it took over a year before they let it sneak out. But yeah, that was amazing. JH: I think the things I’m most proud of doing, or have the best memories of — don’t use the word “proud” [laughs] — are things like the retrospectives which were incredibly hard work, even then, because a lot of the time it was a case of chasing prints down. Because people forget, that’s all we had then, was prints. And the reason we couldn’t do some directors was it was really hard to get prints. So it was great that we had people like David Meeker at the BFI, in the archive, who was this amazing fount of knowledge about where everything is and where the rights holders were, and places like the Pacific Film Archive in Berkeley, the Cinematheque Francais in Paris, the Japan Foundation, Mrs Kawakita in Japan… you would go to them and be able to get things that completed a retrospective, or at least made it viable. And that was really tough to do, in Lynda’s day it was a big problem, and still a big problem in my day. But Lynda, and Murray also, because Sam Fuller Year was Murray’s, they did fantastic work then, getting all those Raoul Walsh films, it was just incredible seeing that could be done. So nowadays, look at today’s festival directors, their job is so much easier. With digital projection you can get anything you want virtually, within reason. And we’re lucky with people like Park Circus who do all that good work putting stuff back into distribution again. So that job has become a lot easier. Then, it was tough to do retrospectives. I suppose the shift away from auteur cinema, which in the 60s and 70s was the big thing for retrospectives, to trying to do cinemas from different territories… so my Japanese event, which I did in… 86, was it? You’ll have to check. The Oshima retrospective was probably the last big retrospective I attempted. 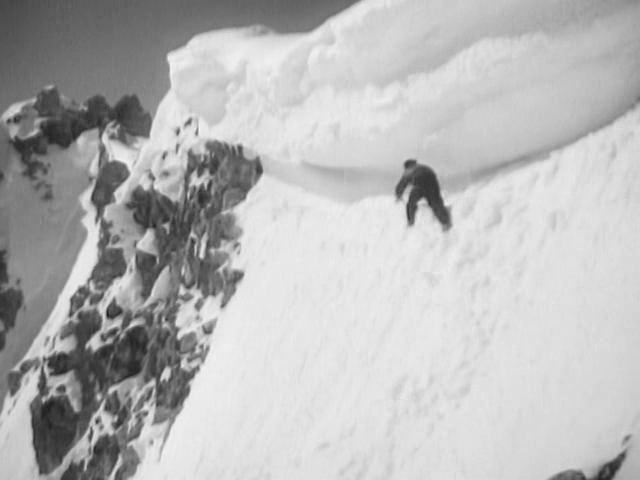 And we would do mini-retrospectives, things like Charles Crichton or Bernard Vorhaus, things we would do in collaboration with the BFI, of films that had rarely been seen or had just disappeared. DC: I didn’t actually know you did Vorhaus… I’ve only recently discovered him. JH: It was in ’86. DC: I missed so many of the retrospectives because I was not mature enough to be seeking that stuff out. JH: Of course, well, you were young! What age were you in 86? DC: Uh, well, uh, 19. No excuse. 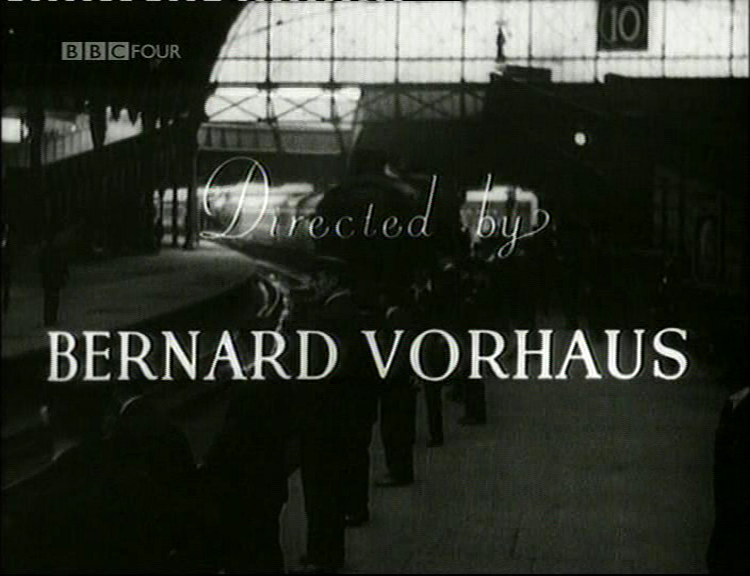 JH: Well… Vorhaus was an example, at the National Film Archive, we were interested in one of his films they’d found. The story was nobody knew much about him, or if he was still alive, and one of their people, they just looked in the phone book and there was a Mr Vorhaus, and yes, it was him. DC: Fantastic. So, did he come? JH: Yeah, it was amazing. So I’m really pleased about doing those sort of things, even if there was a select number of people who wanted to see them. But I’m sure other festivals taking up those retrospectives would do them elsewhere was great as well. Suzuki, we did in my final year, and Suzuki films you can get on DVD now, and nobody had seen anything of them, really, before we did stuff at Edinburgh. Well, you may have got the odd one at the NFT, you know, but eventually it all changed. For me, it’s hard to pick because I was working there all through Lynda’s years, not doing all the work that she did, but supporting her, and we had viewings of films at night, because that’s what you had to do to select them. And the films that she had, I remember big screenings like ALIEN – screened at The Odeon at midnight, at Ridley Scott’s request, and he was there. And I have never seen an audience as scared as the one we had at that. And a lot of smaller films, like NIGHT OF THE LIVING DEAD, which people forget was at Edinburgh… it may have been at Cannes before that… and obviously Lynda would find stuff at Cannes in her days, but Edinburgh was one of the first stopping places after Cannes in that summer. I suppose we had a rock and roll mentality as well, we filled the Festival as much as possible with music films, THE LAST WALTZ, KEEP ON ROCKIN’, THE STONES IN HYDE PARK, the Charlie Watts film CHARLIE IS MY DARLING. Some disappeared but have come back eventually, twenty, thirty years later. I really enjoyed those. All the Andy Warhol films we showed. John Lennon/Yoko Ono shorts, we showed. We opened the Festival one year – we had two, one was called ERECTION and was mostly about a building going up, and the other was… well, essentially the film was a balloon going up into the sky, and it took off, and you saw this landscape, and then it went into white, and for two or three minutes the film was completely white, until it burst out of the clouds into the sunlight, and that was the end of the film. And that was our opening film! It was the support on with the opening film, which was pretty courageous, I suppose. But you know, Edinburgh ought to do things like that, because we always were a sort of maverick event – that was the term Murray [Grigor] used to use. From those late ‘sixties we decided it would be a maverick festival that didn’t do what the big ones do – simply because it can’t, it doesn’t have the money, it’s not a market because we can’t attract people in that way, and Edinburgh has to find its own level, and so that’s what it did. DC: What I realised looking back is that my own sensibility – to the extent that my blog has any guiding philosophy it’s to jumble together arthouse and exploitation and whatever I happen to watch, and regard it as all essentially the same. JH: We came to believe that if we put it in the programme, people would come. 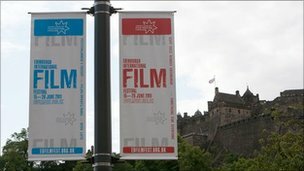 Because they trusted us as curators or whatever you like to call it, or presenters, of those films, and for the opportunity to see the filmmakers, because we always believed right from the start that the filmmakers should be at Edinburgh if we could afford it. We very rarely refused anybody if we could get the money together. But there were some: we wanted to do Budd Boetticher, because we were showing his bullfight film [either ARRUZA or MY KINGDOM FOR…] and I think we were talking about a retrospective maybe, but he wanted to come from Mexico, and we would have to pay his whole flight, first class, and we ended up saying “No” eventually because we couldn’t do it. There was just so little money. You’ll see in some of the older programmes you may have, the grant from the City Council used to be £1.50 or something. And it was listed at the beginning of the programme, if you look at them from the ‘60s, you’ll see those amounts we used to get, and it was just silly. But we were grateful for it! That may have been big money in those days. DC: I saw the guest book once, which he had signed “the frog”. JH: [Laughter] Yes. They were all in that guest book. The problem is, quite often they were just here for two or three days, we didn’t have a lot of time with them because Edinburgh couldn’t pay for a lot of accommodation. So quite often you’d get to see them at dinner, then have to rush away to introduce a film before the dinner ended… To me it was fantastic when all these people came, I just enjoyed filmmakers coming. Jim Jarmusch was always a big hit, because he came a few times. People like Amos Poe, the New York filmmakers. DC: What was the worst aspect of the job? JH: I think in my time, not having enough money to do more publicity… when I look at what the festival can do in that last decade or so, the amount of posters they get up, banners and advertisements, you just feel they’re able to put the word out much better than we ever could. And that’s without even thinking about the internet and what you can do there. We were lucky to get a fax machine round about 1986! Everything was done in letters. We would write to directors, “Dear Mr Walsh, we are doing a retrospective of all your films and would be delighted if you were able to come.” And he would send a nice letter back saying he was unable to come. But nowadays that would be so much easier. And your network of contacts – that thing we used to believe, that there was a film community. People you met at festivals who would advise you about films, you’d go to screenings together, talk about them afterwards, that was one of the real pleasures of the job. I don’t think there were really that many things that weren’t pleasant about it. It was hard work but it was doing the thing you loved doing. DC: Mark [Cousins] said that it was the way the whole year was structured for him was his least favourite thing. JH: But with Mark, that’s because he’s doing so many other things, I think. He’s making films, he’s writing, he’s got all these deadlines. And he’s young enough to be able to do that. I suppose I was young enough to be able to do Filmhouse and the Festival at the same time. I couldn’t do it now, it’d just be impossible. Apart from just that lack of funds… more funds would have brought over more filmmakers as well. We always regretted, “Well, we can’t even ask that guy ‘cause he’s from South America and it would just be ridiculous,” and so in the end they couldn’t come. Had we had more money that would have been my ambition: have all the filmmakers, give them three days accommodation, that’s common these days, it’s what they get pretty much. DC: So, moving forward to the future… what do you think about the change of date? JH: From talking to lots of people during the Festival, and of course reading everything online, I would say the move to August is becoming inevitable. I can’t see the industry… I mean, I read Hannah’s comments about the reasons for the move, and I was behind the move too, I was always behind going to June. I thought, with that kind of money they’d been given to re-establish it in a different way, that was the best time there would ever be. It’s like saying, at least have a go, for the three years. I thought they could win over the city, and become the only show in town: that’s what we had to be. If you could do that, then it would really work. And whatever point in the year Edinburgh is, of the few that are available to it, the June month or the August/September months, you’re going to hit these big things like Venice, and Toronto, the Documentary Festival in Sheffield now hits you in June, that’s another problem… I just think if they stay in June it’ll seem as if they’re not listening. Almost a universal cry seems to be “Get it back to August. Give us the Festival we like, the way it has been, successfully.” Because now, in a way, June has been tainted with lack of success. DC: Is that rational? The first year they moved to June was apparently very successful. JH: Venues could be tough. But, you know, they had an open goal this year to put it in any venue they wanted, really, and look what happened. So this year they have to decide on the venues right up front, let people know which cinemas they’re using – and that may involve going back to Cineworld, I don’t know. It depends on the emphasis the director wants to give it, in terms of how much he or she is going to try to appeal to the public. A lot of people still think it’s in August. A taxi driver I had a week ago said, “Oh, has the Festival been on yet?” And another one, when it had started, said “Oh, I thought it was in August, did it just move.” So the message didn’t permeate through, that it was in June. So with all the difficulties of going back to August, it makes it a lot more easy for people to understand, and it shows they’ve been listening to what people have said this year. And if that involves a retrospective, which I personally think it should do – and I don’t mean necessarily an auteur retrospective – but a packaging-together of an event around something that the director believes people would really enjoy. …In Shane’s days, Shane [Danielsen] told you, “These films are going to be really enjoyable.” He loved them, that communicated itself, and we need a bit more of that now. 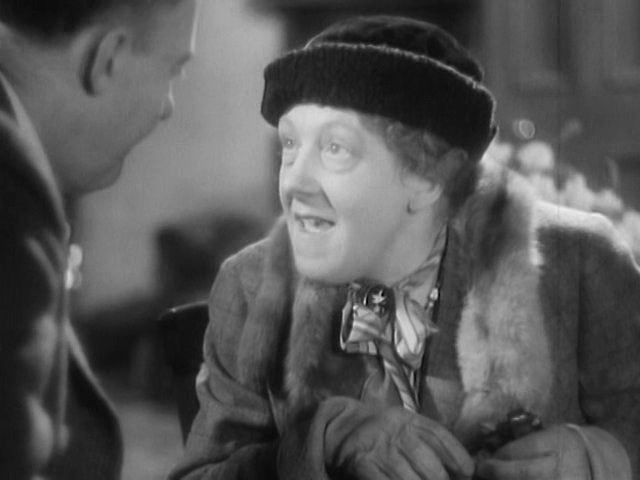 The guy knows his films, he can tell you that ten minutes in, this actress is wearing a certain frock, and that’s worth looking out for. It gets people interested and it’s funny and it’s the way people talk about films. DC: I like auteur retrospectives because there’s no question about why this group of films are together. JH: It turns out they’re the things people can latch onto as well, if it’s an individual, people get a grasp of what you’re trying to do more easily. So yes, I would definitely favour a retrospective. I’d be interested in seeing a retrospective of some cinematographers, because that’s something where it’s evident – what you’re looking at is what they’ve done. Having those people talking… some of the best things I’ve seen in recent years have been the talks with Roger Deakins talking to Seamus McGarvey, Chris Doyle… Those events are fantastic, to listen to experts, people who are pre-eminent, talking about what they do. 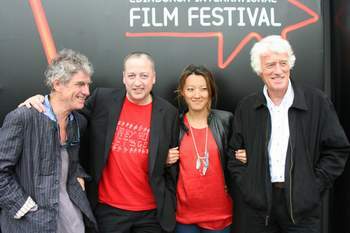 Chris Doyle, Seamus McGarvey, Rain Li & Roger Deakins in Edinburgh. JH: That’s right. Edinburgh would do those as much as possible, and now it should do it, because it can do it. Put money into that. And I know it’s hard to get people because they’re always committed, they’re doing festivals or they’re in the middle of shooting, but you’ve really got to push to get those. JH: Again, some of those things could be done via video link-up. They stay at home and we do it from there. DC: The Mark Cousins David Lynch interview was great. And hilarious. JH: We want more of that! There’s no point in saying “Documentary’s important,” that’s kind of self-evident these days. Documentary’s a huge part of world cinema now. It depends on how you’re going to serve it up. What context you put it in and which group of films you pursue. And you have to look at what other people are doing and see how you could be different. Look at what Sheffield’s doing, and there’s no point in taking them on. You have to try and do something that is Edinburgh’s way of looking at it. And that’s going to be quite hard: finding documentaries where people aren’t thinking “Oh, they’ll be on TV,” or “That was at Sheffield, I read the reviews so I’m not going to see it.” You know, that’s pretty tough, because it’s another British festival who’s doing it alongside you. And also I think your web presence… you’ve got to decide what’s important for you to get up there, and find ways so people who aren’t at Edinburgh can enjoy it. Do more live things. I mean they obviously did their Kings of Leon event, which went to lots of cinemas simultaneously, didn’t it? But that kind of thing. Have somebody on stage that everybody sees is happening at Edinburgh. And that, again, is easier to do now. If they could sort that out, they’d feel they were reaching an audience they’d missed, because they think it’s elitist, or inertia, or whatever it is. And make it more accessible in terms of the pricing. There was a lot of criticism of the pricing this year. DC: There was an announcement, I think, that the prices would be lower, and the prices were higher. JH: Yes. Nine quid was outrageous. JH: Discount deals are essential, you have to do that. That’s what people expect. I talked to several friends who come regularly and who I know spend over a hundred pounds on tickets, and they said “This year, I’m not doing it. That gets me into ten.” And so you think, well, they’ve lost those people. They probably won’t even come to ten now, because they’re disgusted at having to do this. So it’s bad PR. For people who are experts in marketing, they made some pretty bad errors this year, and that can’t happen again, they’ve really got to sort that out. Because people have to feel it’s for them, the minute they feel they’ve been priced out, your festival just becomes something for the arty crowd. DC: And the people who get in free. JH: Yeah, that’s right, the delegates and… freeloaders, as they used to be called in my day. [laughter] Who get into everything. But it’s sometimes better to have those people in the cinema than none at all. The answer is easy, to that one, isn’t it? What we want is a Festival that does something that isn’t what Filmhouse does year-round. Because Filmhouse now does an amazing amount of mini-festivals, throughout the year: the African Festival, the Middle East Festival, French, Italian, all of those, fantastic! I’m amazed how many films they have in those slots. Obviously digital makes it easier to do that now. So Edinburgh can’t, at festival time, do that, but it has to do something that’s somehow beyond the reach of Filmhouse, either financially or in terms of the people it could bring. Because it would really wreck the Filmhouse budget to bring several filmmakers from long distances for a particular event. So they could really build on that sense of a Festival you wouldn’t see during the year, something different. DC: It has to be. There was the man on the bus who said he struggled to see what would be different about seeing a film at the Film Festival as opposed to seeing one normally. Well, we have to answer that question. They talk about the “Edinburgh brand”, but it has to include the answer to that. Why come to a festival? JH: Uh huh. And I think it’s events, as well. Events are necessary, and we should put a ban on the words “red carpet”. We should just not talk about it. We should talk about great films, great events, that are memorable for people. And a programme that has real nuggets in it that people will always look back on. 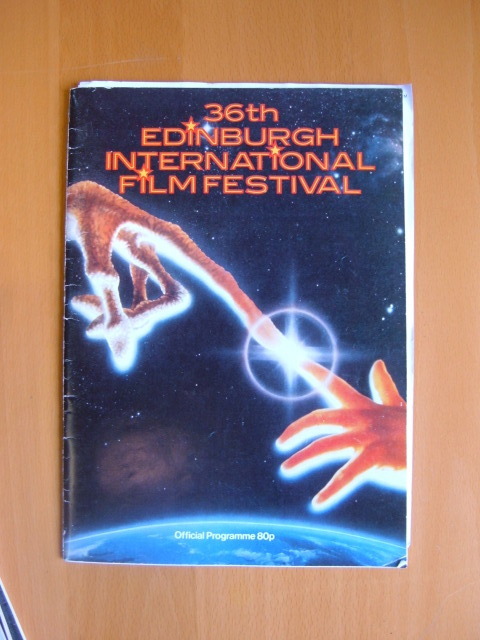 Looking back through some of Edinburgh’s programmes, I’m just stunned, looking at the quality of some of the films we had. And it’s about memories too.